Catharine Edwards and Matthew Nicholls. – Photo Brian J. Ritchie / Hotsauce. Dr Matthew Nicholls has been involved in three TV projects this year, helping to bring Roman history to a wide audience. The most recent, a three-part series on Roman imperial women, will air from May 29th on BBC 4, presented by Catharine Edwards. The series looks at the colourful careers of the women behind the throne in ancient Rome, and its subtitle, ‘Mothers, Murderers and Mistresses’, hints at some of the stories it will tell. 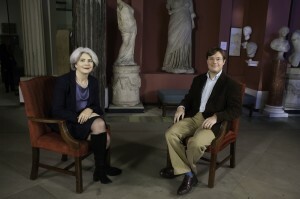 Dr Nicholls was asked to contribute to the first episode on the Julio-Claudian women, which was filmed in the Ashmolean Museum in Oxford. He was then asked back for episode 3 to talk about the turbulent lives and careers of the Severan women, all of whom were, confusingly, called Julia (Julia Maesa; Julia Avita Mamaea; Julia Domna, charismatic wife of the African emperor Septimius Severus; and Julia Soaemias Bassiana, mother of Elagabalus who, even by the high standards set by earlier emperors, was outstandingly depraved and incompetent). Between them these women offer fascinating insights into the turbulent world of imperial dynastic politics, showing the very different ways in which imperial wives and mothers negotiated the impossible powerful-yet-powerless roles they inhabited, and how our (male) historical sources tended to portray them. Dr Nicholls also helped contribute to the maps for the documentary. 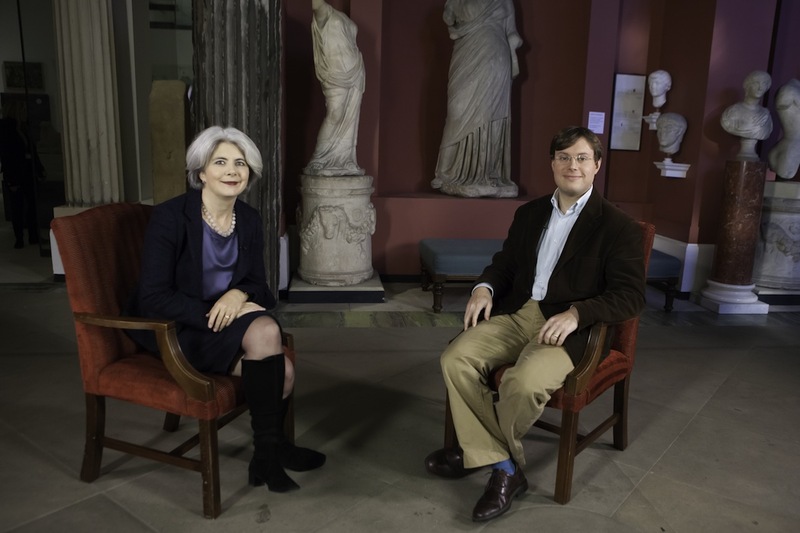 Earlier in the year Dr Nicholls also appeared in Simon Sebag-Montefiore’s documentary on the religious history of Rome, flying out for a day to film in an eerily emptied Capitoline Museum. He also used his digital reconstruction skills to create a series of reconstructions of Roman sites in Scotland for another BBC documentary, Rome’s Final Frontier. Along with colleagues in the Department of Classics he enjoys these opportunities to communicate his research work to public audiences, and is always glad to respond to enquiries.